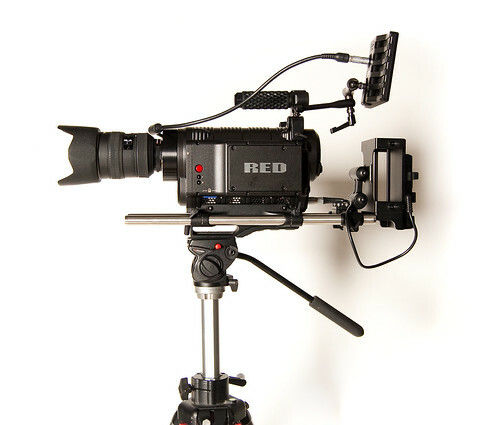 The Red One (seen here with the Nikon 28-70mm f/2.8 lens mounted on it) is a digital cinema camera. It just can’t be considered a “video camera” by any means. It’s interesting how much of what you know from photography and film seems to come into play when using it, as opposed to what you know about video, and your old fashioned video cameras. Not that I’m much of an expert yet, as I’ve spent just a very short amount of time working with the Red One. But I do have to agree with anyone who has used the word “amazing” to describe it.